In many cases, Pontoon is just another name for Spanish 21. In this case, we will only be referring to Pontoon, which originated from the UK. Pontoon is played with standard 52-card decks, with anywhere from two to eight decks being used depending on the number of players involved. Its popularity has been increasing and been added to more and more offline and online casinos. Before you continue, make sure you are familiar with the standard Blackjack rules in order to continue with the differences in here. Some terminology is different, such as a “Hit” in Pontoon is called a “Twist” – “Stand” is called a “Stick” – “Double down” is called a “Buy” – and finally a “Blackjack” or a “21” is actually called a “Pontoon”, which are paid-out 2:1. The dealer’s cards are both dealt face down – obviously taking away any advantage the players had in regards to odds. The dealer waits for all players’ actions before even looking at his/her cards. So in the case that the player adds up to 21 against a natural 21 of the dealer, the player would actually beat it. There is no “Push” in Pontoon; instead, players would lose any tied hands, except for the 21 situation mentioned in the above point. If a player reaches up to a 5-card hand (5 cards in his/her position) without busting out, it would be considered an automatic win and paid-out 2:1. Players can ‘buy’ on any 2, 3, 4 cards, and they may ‘twist’ after a ‘buy’. However, players can only ‘buy’ once per hand, and can only be ‘split’ up to 2 times. Lastly, the dealer must ‘twist’ on 17 or lower, and players much ‘twist’ on 14 or lower. As you can see, there is a good number of differences or additional rules to the game, but overall, it still has the same end goal. Players make their bet, followed by the dealer dealing 2 cards per player (one by one to each) face-up and 2 cards for him/herself face down. The dealer does not look at his/her cards, not even to make sure there’s a ‘Pontoon’ there, instead, all players’ actions are taken care of first. Once that is taken care of (any ‘splits’, ‘buys’ and ‘twists’), the dealer now looks at his/her cards to see if he/she should ‘twist’ or ‘stick’. Whoever has a higher card, 21 or lower, wins – except in the case of a tie at 21, where it would be the only ties where players actually win the hand. Let’s say you are dealt 3-4. You can now ‘buy’ as there is a 3 card in your hand. You can only ‘buy’ once per hand, so let’s say that gets you a 4, for a total of 11 points. You can and must ‘twist’ in hopes of a 10 to complete the ‘Pontoon. Let’s say you are given 5-5, you can now ‘split’ it, meaning you bet the same amount and get 2 more cards for each 5. Let’s say you get the following 5-10 and a 5-5. The first hand of 5-10 you can either ‘twist’ in hopes to not bust out, or you can ‘stick’. The second hand you can ‘split’ one last time. Let’s say instead of getting the 5-5 you got a 5-9 (14 points) – you will automatically have to ‘twist’ as the rule specifies players must ‘twist’ on 14 or lower, just like dealers must ‘twist’ on anything 17 or lower. The last hand example is getting a 3-4-2-4 (13 points so far) – seeing that you have to ‘twist’ and that you have now 4 cards in your possession, you simply need 1 more card without busting out to win automatically. Reaching 5 cards without going beyond 21 means an automatic win for you – unless the dealer ties (gets 5 cards dealt too regardless of the point value), in which case the player unfortunately loses. 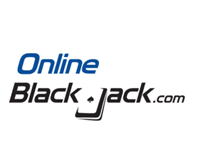 All you need is some practice to get the hang of it, but once again, it is quite simple… just follow your blackjack background with some minor alterations.